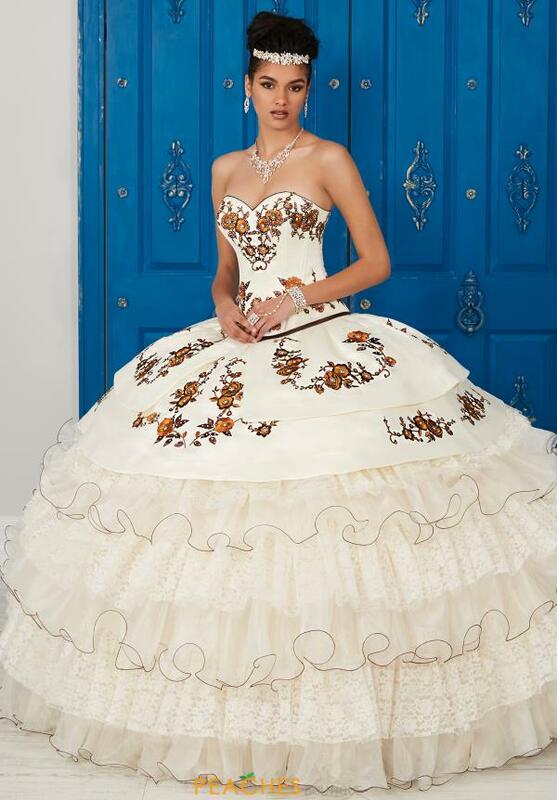 This unique Tiffany quinceanera gown 24031 will leave you the center of attention. Showcasing a gorgeous strapless sweet heart neckline with a satin bodice. Exquisite embroidery and beadwork lead into a stunning corset back. A full lace, tulle and organza skirt will flow elegantly behind you. Shop this one of a kind dress at Peaches Boutique.